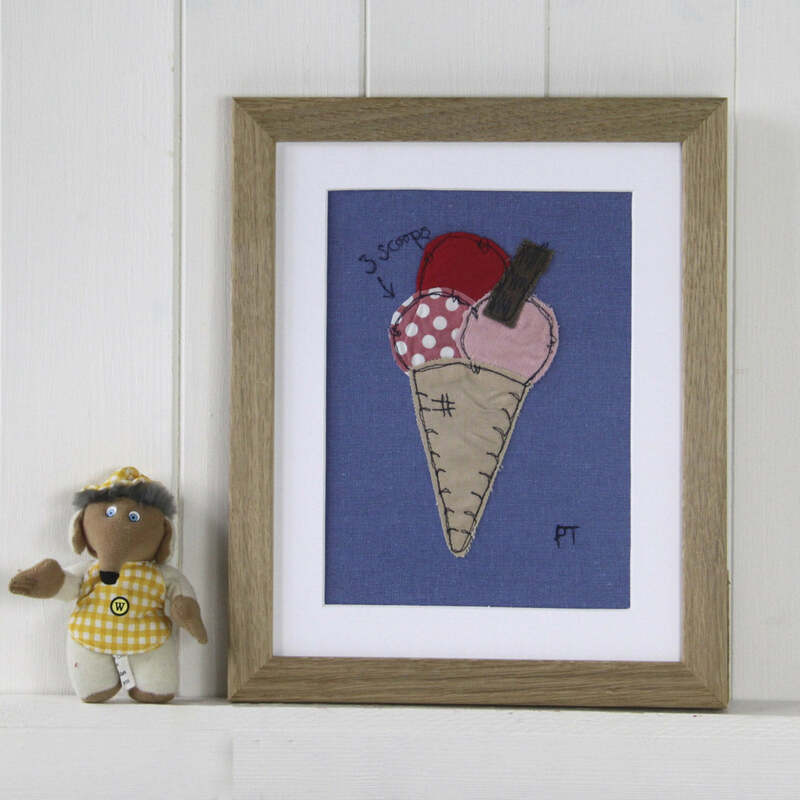 Just in time for Christmas we're excited to launch our lovely new collection of embroidered pictures, stitched by our little team and ready for your walls, or those of your friends and family! 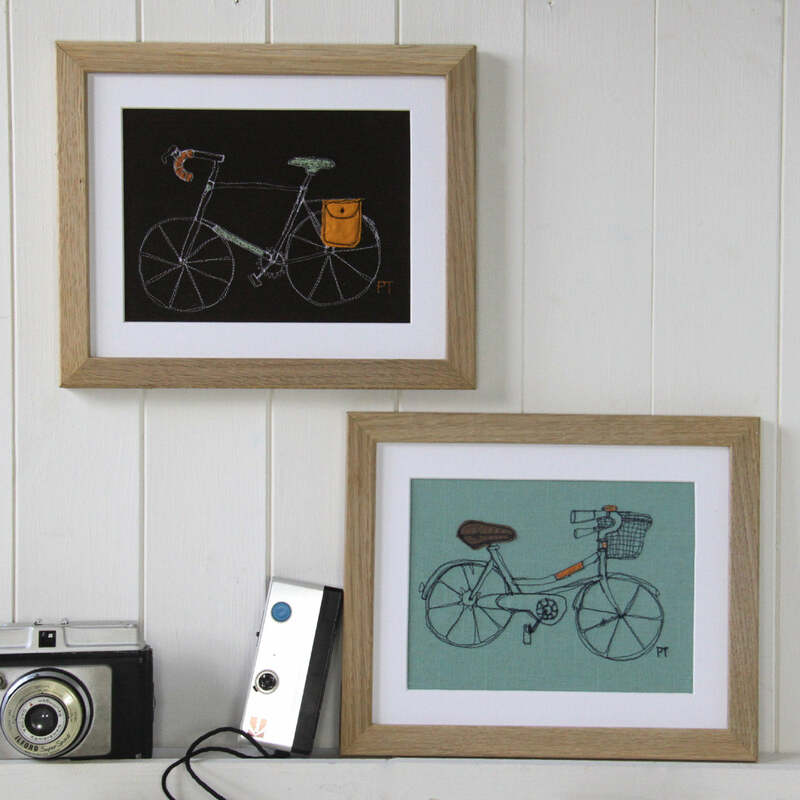 The pictures were all inspired by recent sketches of Poppy's, some of her favourite things like bicycles, Cornwall, birds and of course, ice cream! 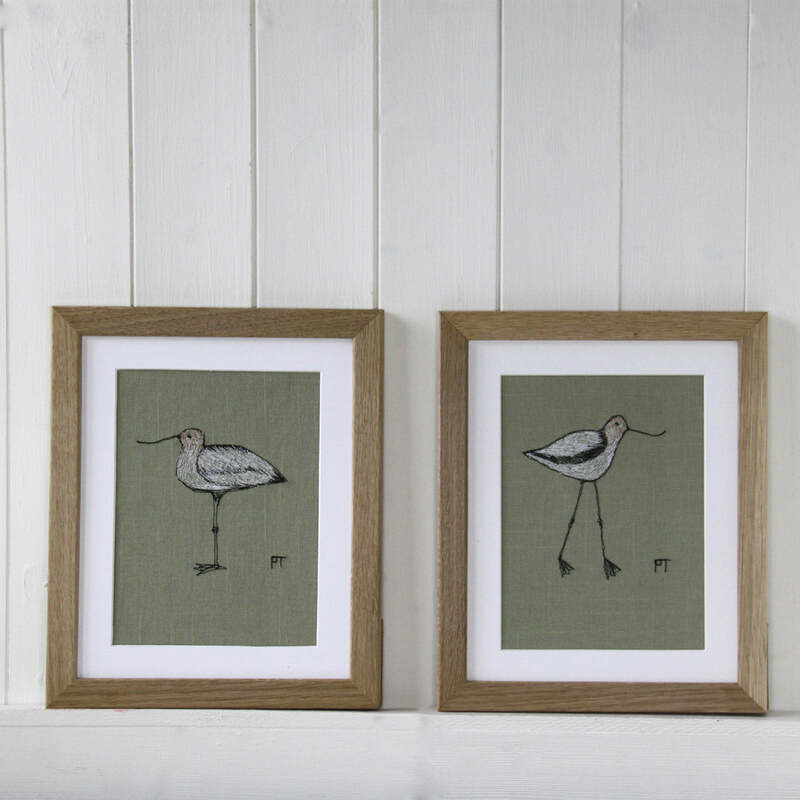 Whilst some will be lovely in a children's room we also think some are a bit more grown up and would work well in any setting, bringing a bit of textile colour and loveliness to a home. 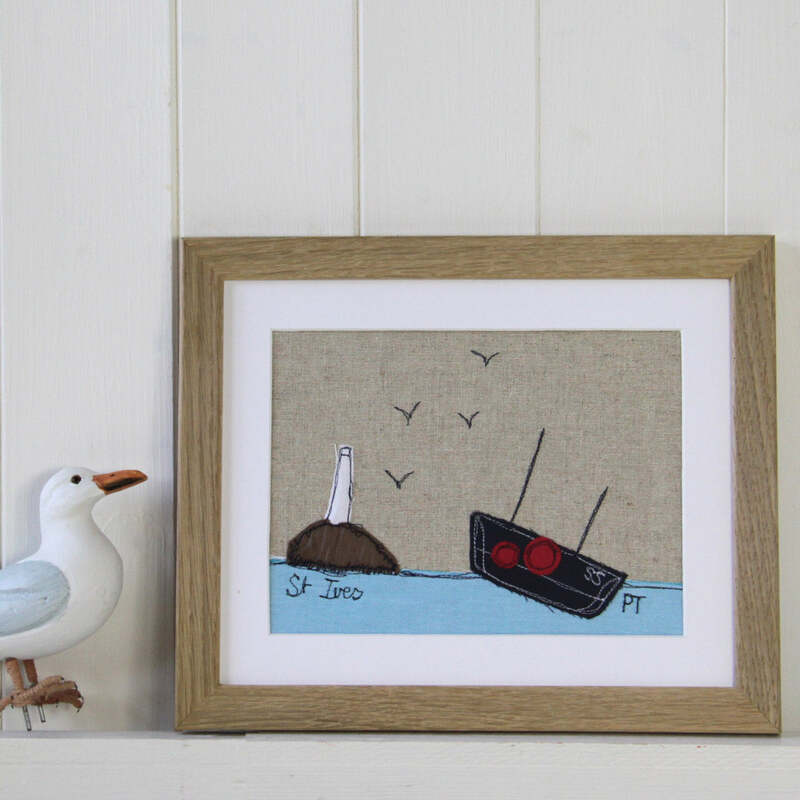 Our lovely embroidered pictures are available either in their mounts (great for posting and letting the recipient choose their own frame) or framed up and ready to hang, hurray!